Armstrong Zoom Internet has sent notices to its users that copyright infringement can lead to speed throttling that not only affects file transfer but also the ability to remotely control connected devices such as smart thermostats and video monitoring services. Downloading via torrents is a very risky thing. While there are perfectly legitimate reasons to use torrents, it is not a secret that the protocol is used mostly by pirates to download counterfeit software. ISPs have traditionally sent cease and desist notices to those who pirate via torrent but one American ISP has taken things up a notch further — it plans to slow down connected smart devices of pirates. Armstrong Zoom Internet is a million subscriber strong ISP in Northeastern US that has started to send out letters to users who have been accused of copyright infringement. The letter states that a recurring offense will place the subscriber in the lowest tier, which is just about good for basic email access but limits file-sharing and downloading capabilities. 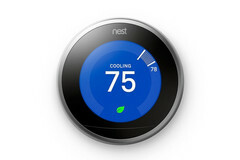 The letter also goes on to state that the speed throttling will affect other connected services such as the ability to control a smart thermostat or video monitoring systems remotely. Those who have come under the scanner can sign an agreement acknowledging their mistake, read some material about copyright infringement, and answer a few questions on the subject to restore normal service. However, repeated offenses post signing the agreement will result in termination of services. Once the service is terminated, getting back in will involve a lot of legal processes. Therefore, as the old adage goes, better be safe than sorry.